This is what Trevor looks like on Sundays—no suit, but he’s still wearing a client branded hoodie and working with the developers on some urgent client request. NOTE: For sure, most of our web content is keyword enriched and contains an education optimized to entice search engine rankings—but NOT TODAY. Today, we’re just telling you a funny story that made us laugh so hard that our guts spilled out and joy went everywhere. To enjoy this story, you’ll want to know Trevor. Trevor is Titan Publishing’s CEO; we call him the Chief Everything Officer because he keeps track of nearly everything—in a pinch we use the expression “that’s a Trevor question” to decipher the mysteries of [insert anything]. You’d be hard-pressed to find someone with as much technical expertise and know-how, never mind the ability to apply it. Trevor is a genius so his work methods are . . . weird. Sometimes if you wake up early you’ll find messages from him at 4:00 a.m. (Ok- he stayed up late?) He’ll show up to the 8:00 a.m. conference call. (Ok- so he was up early.) Later in the day, a client will tell you that he was out with Trevor until 1:00 a.m. (Ok- so he doesn’t sleep.) He remembers intricate I.T. infrastructures but forgets he has a car in the garage and Ubers to the dry cleaners. 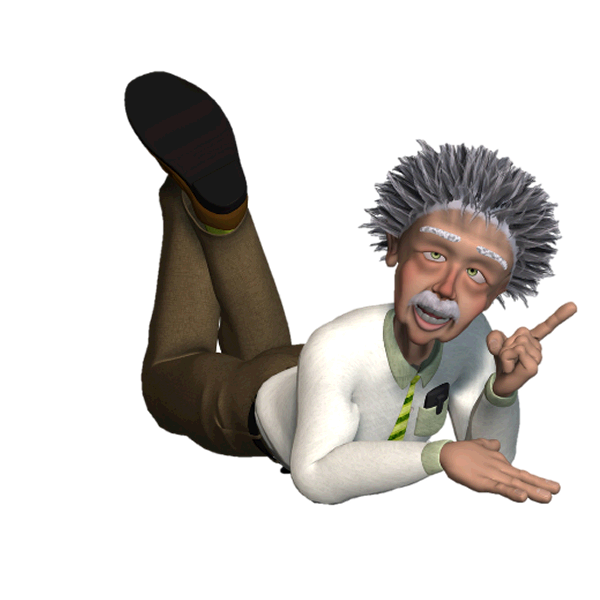 Einstein is said to have had a terrible memory. One of his teachers compared Einstein’s mind to a sieve and so the story goes, he didn’t know his own phone number. Ben Franklin started each day with an air bath—stark naked in front of a window. Tesla worked from 3:00 a.m. each day until 11:00 p.m.—of course he suffered a mental breakdown at age 25. He’s just on a very fast-production pace and ridiculously serious about progress, but that isn’t to say that Trevor doesn’t have fun. His favorite past-time is deep sea fishing and he laughs harder than any of us—just not when we’re working. Like most geniuses, he appreciates working with really smart people and he rarely wants to slow down. Now, if you are one of our clients, you know that when Trevor talks, people listen. And that’s because he’s a man of few words, and the words are profitable. If the world-wide web was the wild west (and it is) then Trevor plays the part of the quiet and wizened sheriff who believes talk is cheap but knows where to put a bullet in the crucial moment. In building Titan Publishing, Trevor endeavored to assemble a smart (and telepathic) team—people at the top of the game in social media, content, development, technical SEO—which ultimately meant that we built the company where the talent could be found . . . with offices in California, Florida, Texas, and Chicago. With a giant client meeting on the horizon—think of the biggest retailer on a corner near you—Trevor flew to the Chicago office for 24 hours. We scheduled meetings for his arrival. First up, was the creative team at 8:00 a.m. Dressed to spec, Trevor asked only for a charging device and a glass of water. Tired and parched, he had worked on the plane in the wee hours and bought a tube of Burt’s Bees lip balm to ease the dehydration. As the meeting progresses, Trevor applies his lip balm again and again—each time reddening his lips. Generally a well-groomed person, we were thinking maybe Trevor’s luscious lips were just a new ‘metro’ fad like man-scaping. [Being from the Midwest, we’re the last to know the lifestyles of the rich and famous.] I dunno, maybe he’s really into his lips—whatever. I don’t know if we thought that Trevor’s wife had left traces of her lipstick on his lip balm which then transferred to him upon application, or what, but we all just mumbled (without looking over our laptops) that we hadn’t stolen a sip (we use mugs.) He still didn’t realize that it was him. And we didn’t realize, that he didn’t realize that it was him. We worked, and we worked. We built presentation decks and finalized the scope of the technology. And his lips got redder and redder. 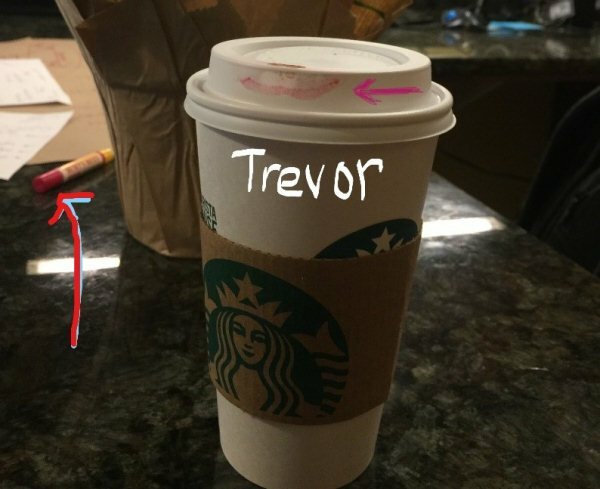 Excuse me Master Trevor is this your lipstick? 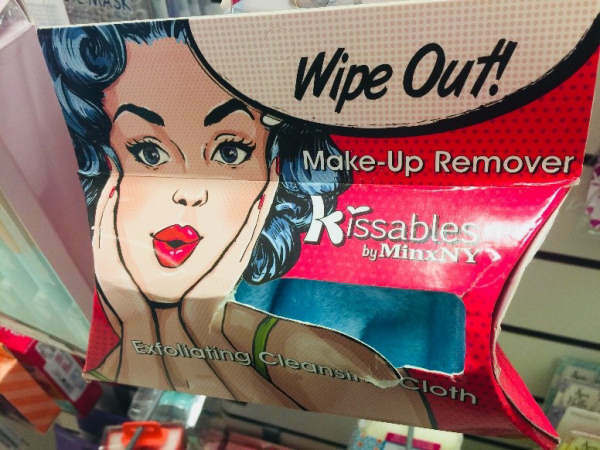 It wasn’t until someone noticed the label “lip shimmer” that we all put it together. Trevor bought Burt’s Bees tinted lip balm at the airport and didn’t know. And when we realized that he hadn’t known, we all busted a gut, including Trevor.
. . . and then . . . he kept using it! 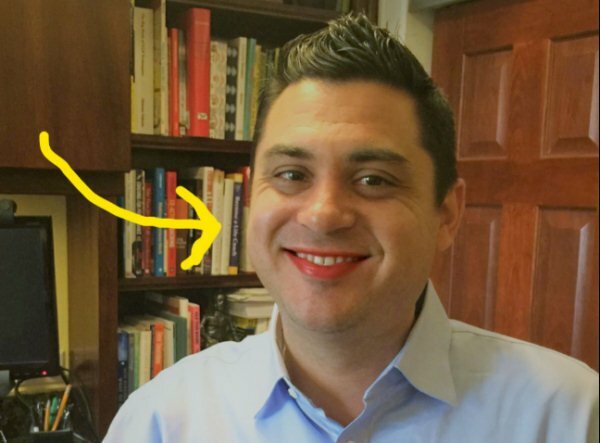 He kept taking the tube out of his front pocket and applying the lipstick. After we laughed at him… he kept using it. Because it worked under the circumstances? 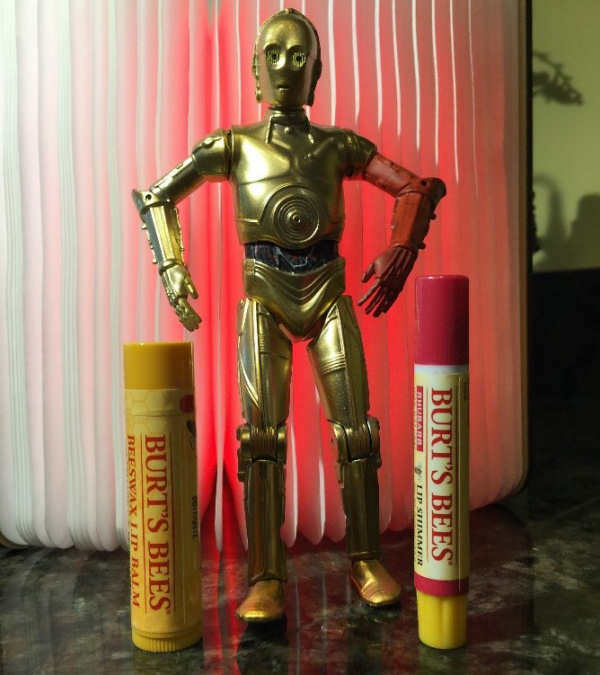 Eventually one of the team went and found an untinted lip balm and replaced his shimmer. He probably didn’t notice. There’s something very satisfying about witnessing people absorbed in a purpose. Being on a critical mission clarifies what is important, what to care about, and what to disregard. 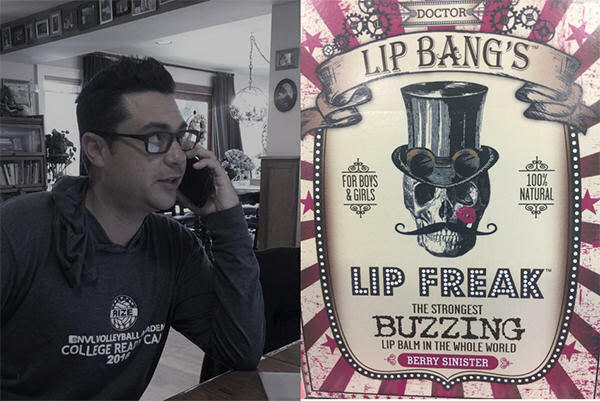 Ultimately after that day, the inside joke went on, and on, and we coined the phrase ‘lip freak’ as a high honor. 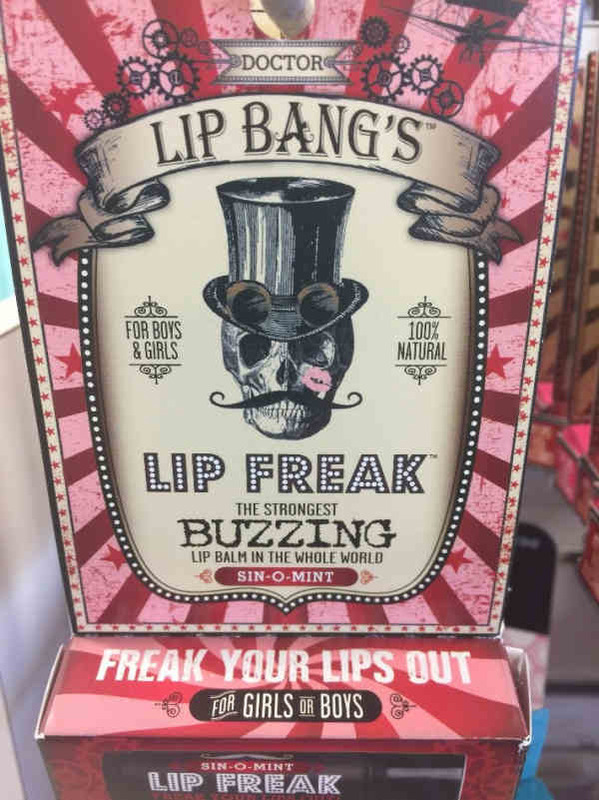 A “lip freak”— is someone whose brain is buzzing along at the speed of light. We bestow the Lip Freak award on anyone who displays extreme commitment in the service of the customer. The award is . . . you guessed it . . . lip balm (the label says ‘for boys and girls’.) So funny. 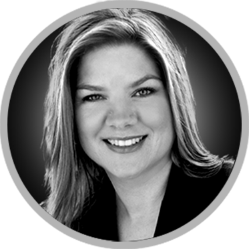 Storytelling is the cornerstone of marketing. Long before pitching and closing, invite prospects to the party with education and stories. Self-disclosure can be stronger than credentialing because people want to know who you are at the core more than they want to see a list of accolades. What stories are already in your arsenal as a brand? What process can you implement to identify stories that can be added to your repertoire? Sarah is an awesome person, and we need to make this description do justice to how awesome she is. Sarah is an awesome person, and we need to make this description do justice to how awesome she is.